When fitting new chain, the rear sprocket(s) should be replaced. It is essential that this is correct. The chart below shows the number of links needed for different chainwheel and sprocket combinations available from Brompton. 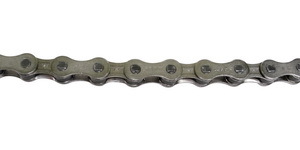 · Use 3/32" chain when both chainring and sprocket(s) are 3/32"